Eden: When will the second season start? There have only been four episodes so far – but the makers of Eden have now told stunned locals they want to shoot a second series in the Scottish wilderness. The last episode was shown on August 8 after only first airing on July 18. Filming began on a remote part of Inverness-shire in March. Despite the screen blackout, the series has been updating followers on social media. But fans have been left bemused by its absence so soon after launching. 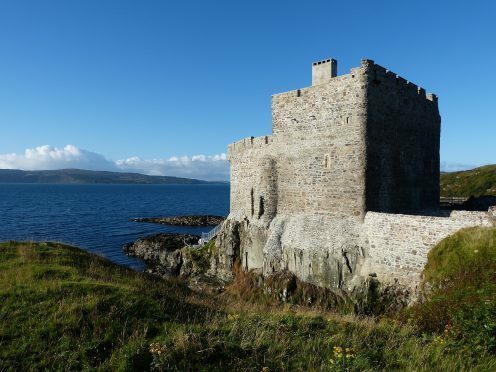 But at a public meeting held at Acharacle on the Ardnamurchan Estate – where Eden is being filmed – on Monday, representatives of production company Keo Films told more than 20 residents present that they were hoping for a second series. That would mean again applying to remove the public right of access to part of the Ardnamurchan Estate for the show which caused local controversy, with some locals believing it would be good for tourism and others concerned about its effect on a sensitive protected environment. However, the previous application was approved by Highland Council and the Scottish Ministers. Those attending from Keo, who called the meeting to update locals, were chief commercial officer Andrew Palmer, series editor Liz Foley and production manager Phillippa Whittall. “One of the team told the meeting they were looking to do a second series,” said one local who was at the meeting. “They were hoping to do it – and they gave the impression it could either be using the existing participants or a new batch. It could be either. That surprised a few people as we haven’t seen much of the first. “They said they would apply for permission to exclude the public again. They said they were very pleased with the way it had gone and were satisfied with the ratings which were around 2 million viewers for each episode. “But they would not answer any questions over how many had left etc. “They also said that they believed the series had contributed greatly to local tourism and had employed eight to ten people. “But I, and others, have seen no evidence of a tourism boom. “There has been a lot of helicopter activity in recent days – with a lot of cable and black boxes being taken in. Workmen have also been ferried across in boats backwards and forwards. They are installing something. Eight of the original group have left the programme, including the camp’s two doctors, the paramedic and the fisherman. The mass exodus has called the future of the radical television project – which is set to run until next spring – into question. The gender balance has also been skewed, with only five women left on the show with ten men. However, Channel 4 has rejected any concerns.